Dawn to Dusk Hunt Club. We are a licensed shooting preserve 45 minutes from Chicago's Soldier Field, in nearby Northwest Indiana (click for map). 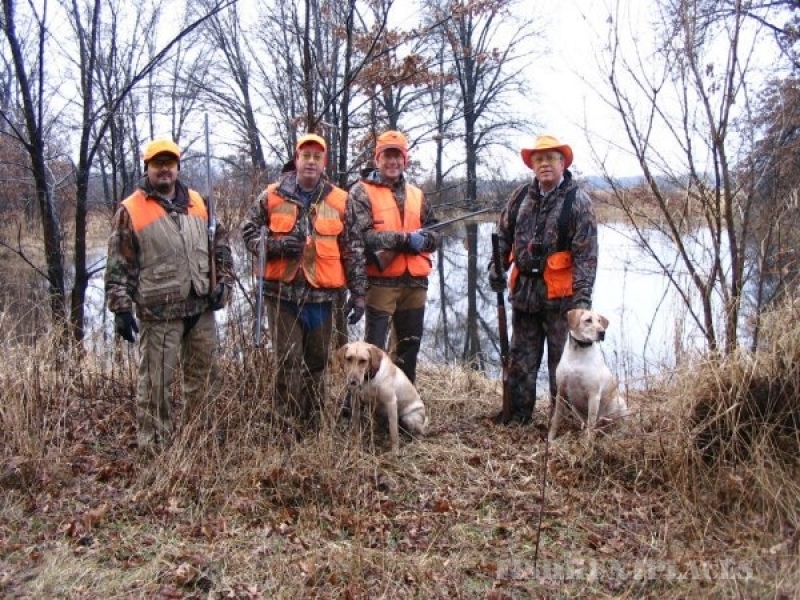 You will be hunting on land that is professionally managed to accommodate quality upland bird hunting. We have an excellent variety of habitat for game. There are 4 ponds, corn fields, specially managed sorghum and buckwheat fields as well as wooded areas to provide excellent hunting. Click here for maps. LICENSE INFORMATION: We are no longer able to sell licenses. The state has switched to an online system and we will no longer be issued the booklet of licenses from which we were able to provide licenses to our customers. You will have to go online at www.in.gov/dnr (opens in NEW browser window) to purchase a license. You can also buy licenses at a retail outlet such as Blythe's Sports in Griffith or Valpo, Bass Pro Shops, Cabela's, or any Wal-Mart or K-Mart. NONRESIDENT PRIVATE SHOOTING PRESERVE: Nonresidents must purchase a nonresident shooting preserve license and any applicable stamp privilege requirements for species they are hunting at a private shooting preserve. The nonresident private shooting preserve license expires April 30, immediately following the date the license is effective. The nonresident shooting preserve license is $17 and the nonresident youth shooting preserve license is $7. 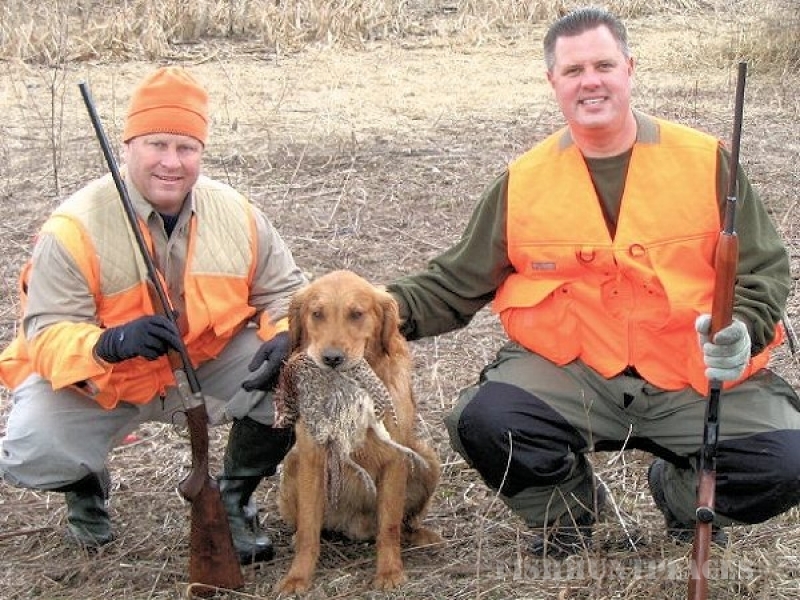 SEASON begins September 1 and runs through April 15 for released pheasants, chukkar and quail. 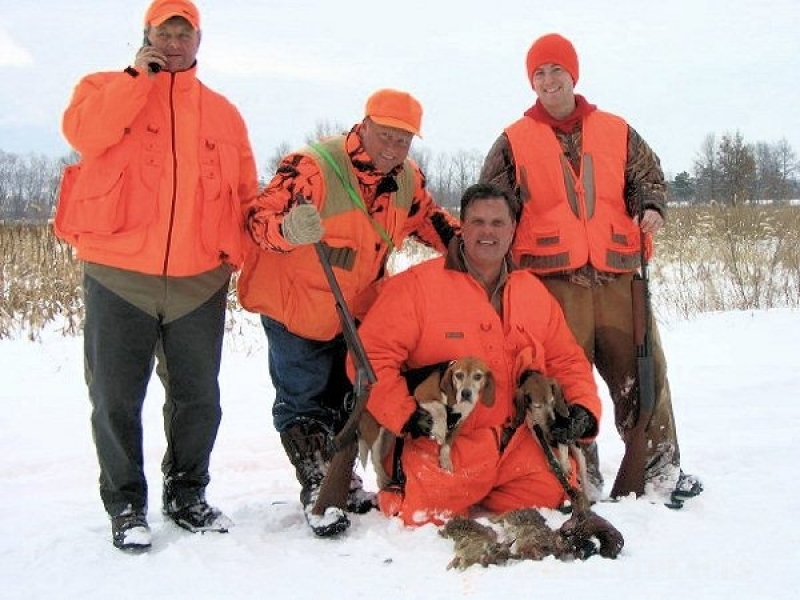 Doves, geese and all other birds are subject to Indiana game laws. We plant 20 acres of sunflowers and buckwheat for our Dove hunts. Opening date for Doves is the Labor Day weekend in September. MEMBERS may purchase birds at listed rates. There is no minimum bird purchase required of members. No daily hunt fee. Walk on privileges year round. DAY HUNTS for non club members will include 4 pheasants (or bird equivalent per hunter), and exclusive access to the preserve. Nonmembers must have 2 hunters or purchase bird equivalent. Women, and anyone under the age of 16 are considered welcome guests of your hunt. Morning hunts are 8:30 to noon and afternoon hunts are from 1:30 to dusk. RESERVATIONS are required. Availability of birds will be confirmed with your reservations. A deposit of 50% is required of non members 5 days prior to hunt with the balance due at the end of hunt. Canceled hunts by non-members with less than 48 hours notice will forfeit deposit. HUNTERS' DOGS are welcome. Control of your dog is your responsibility. TERMS: Cash or check. Monthly accounts for members. Prices subject to market changes. 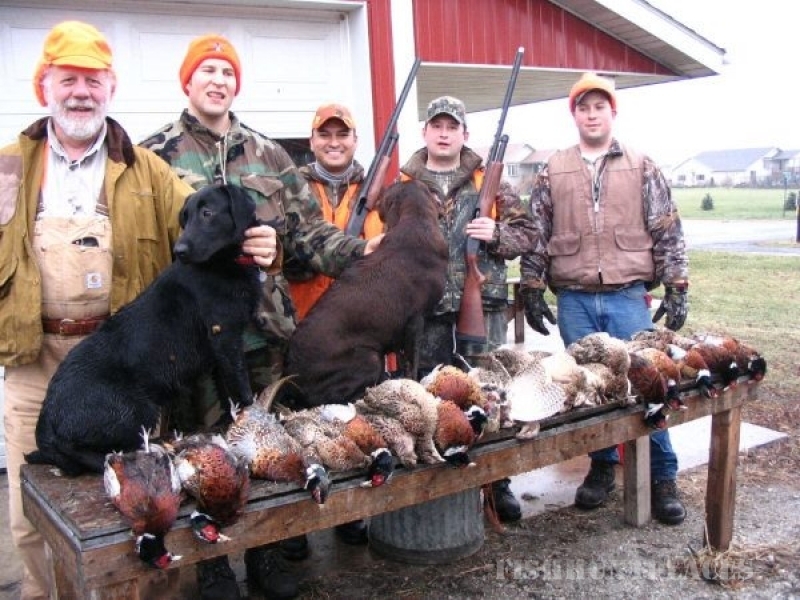 RATES: $125.00 per adult gun, includes 4 birds dog & guide. $650 season pass which includes doves, waterfowl, small game, fishing and year round dog training facilities.